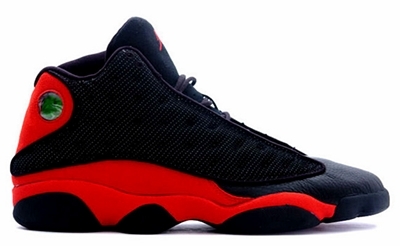 It looks like Jordan Brand is looking to make noise with their “Bred” color scheme. Aside from the Air Jordan 4 and 11 Bred that are scheduled to hit the market later this year, another once has been confirmed for release. The Air Jordan 13 will be coming out once again in White/Black-Varsity Red colorway or what is popularly known as the “Bred” colorway, which features a black leather and mesh on the upper part along with red suede. According to reports, Jordan Brand will be releasing this one early next year so make sure to watch out for it. But don’t worry, Jordans Out will be keeping you updated!